You often need to modify your prices and/or loyalty points during the sales period, for a special discount, or for a general increase of your prices. In your Hiboutik account, you can update your prices in bulk with an extern .CSV file. In Products/Import-Export, go to the “Export data” section. Here, you can download several CSV files linked to your product database. You can read and modify a .csv file in a spreadsheet like Excel. Download the file “Products by variant“. Open a spreadsheet and import your .CSV product database (with import external data). The .CSV file is delimited with semicolon (;), and encoded in UTF-8 (in order that all characters can be readable). Decimals are separated by a dot (.) in the CSV .file. If the decimal separator of your spreadsheet is a comma, you can use the “Replace by” function to replace automatically all dots with commas in your file. You can sort data in your spreadsheet to select only some items from your product database. 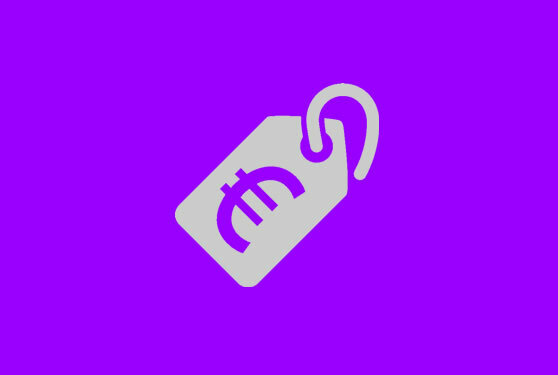 The columns “prix_achat” (supply price), “prix_vente” (selling price) and “prix_soldes” (discount price) are the current prices in your Hiboutik account. To modify them, fulfill the columns “new_prix_achat”, “new_prix” and/or “new_prix_soldes”. If you don’t want to change the price of an item, leave the field empty. In our example, we are going to change the price of the guitar (from 120 to 130) and make a discount of 20% on all prices of category 4. Then, we save the spreadsheet (preferably in a .csv file with ; as delimiter). 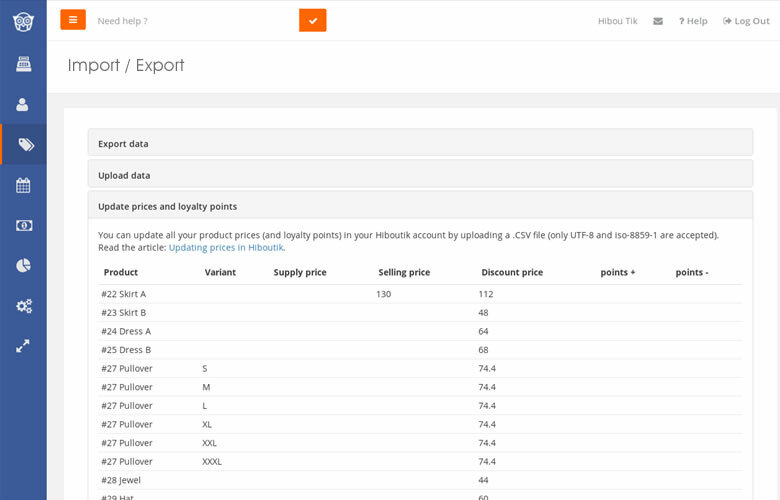 In Products/Import-Export, go to the “Update prices and loyalty points” section, and upload your updated prices and points list. A chart will resume all prices and points updates. Then, click on the Submit button to update your prices and points in your Hiboutik account. To apply discount prices in your sales you must set up the discount dates in Settings/Period of sales. During the sale event, all discount prices are applied, so if you don’t want to make the discount on some products, you must check that these products don’t have discount prices in their product forms. Prices and loyalty points are updated in the point of sale where you are logged in. In a multi-store account, if you want to update your prices in all stores, you must connect each shop and upload you price updated file again. In that way, you can have a different prices policy in each point of sale.